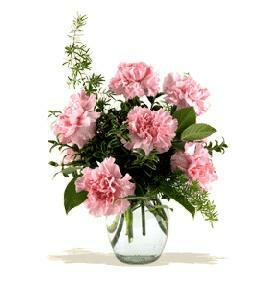 Clear glass vase may be used if this red vase is sold out or not available. 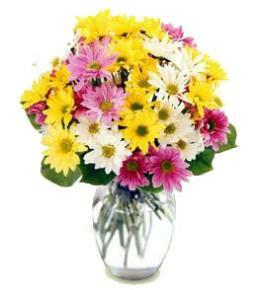 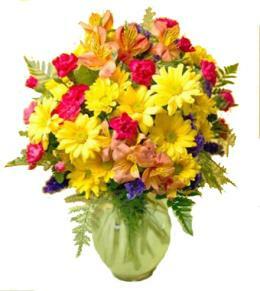 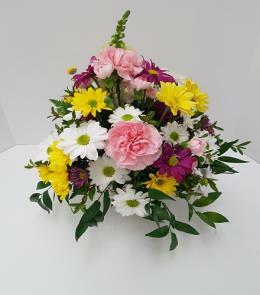 The FTD® Birthday Wishes™ Bouquet is shining with color and beauty to celebrate your special recipient's special day! 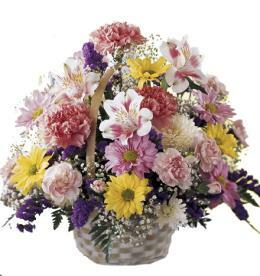 Bold red roses, exquisite Stargazer Lilies, red mini carnations and purple lisianthus are accented with greens to create an incredible flower arrangement. 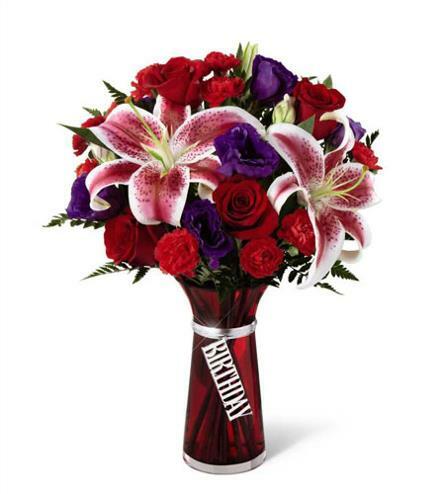 Arranged in a designer red glass vase with a silver metallic decorative tag "Birthday", dangling from the neck, this mixed flower bouquet will make their birthday a day blossoming with happy wishes. 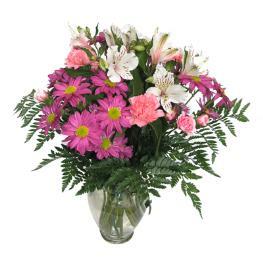 Birthday Flowers For Mom - Birthday Wishes with Vase.